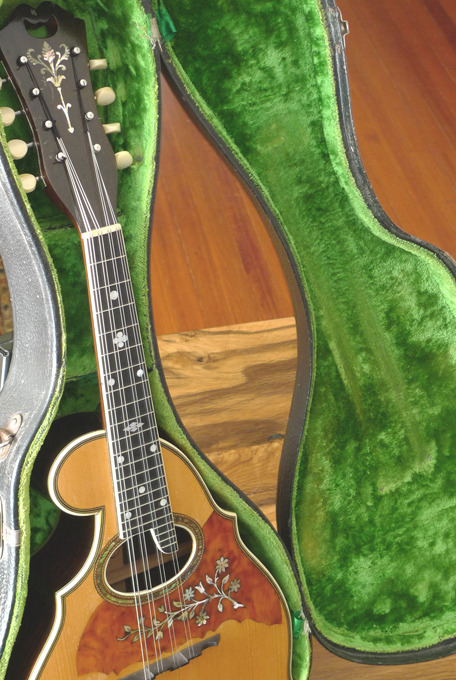 The Larson Brothers need little introduction to the world’s top players and collectors, and they are very different instruments from the Martin and Gibson instruments that dominated the 1920’s and 30’s by their shear numbers. 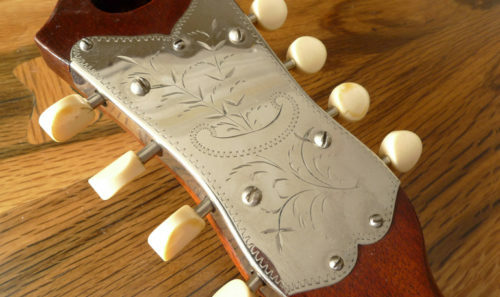 Larson instruments are rising in value rapidly, as they never produced the kind of volume that Martin much less Gibson produced in those decades, and they are now recognized for their magnificent workmanship and tone. 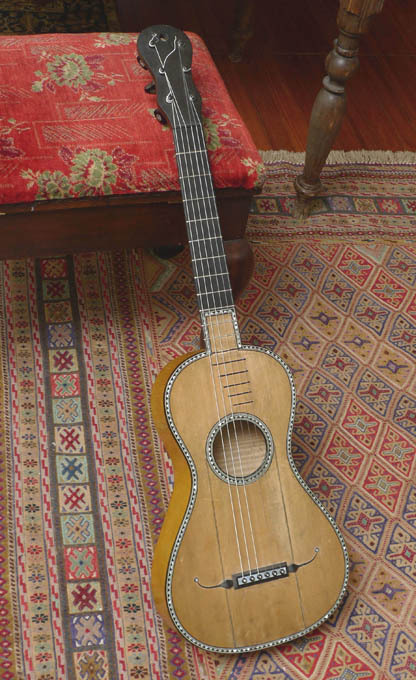 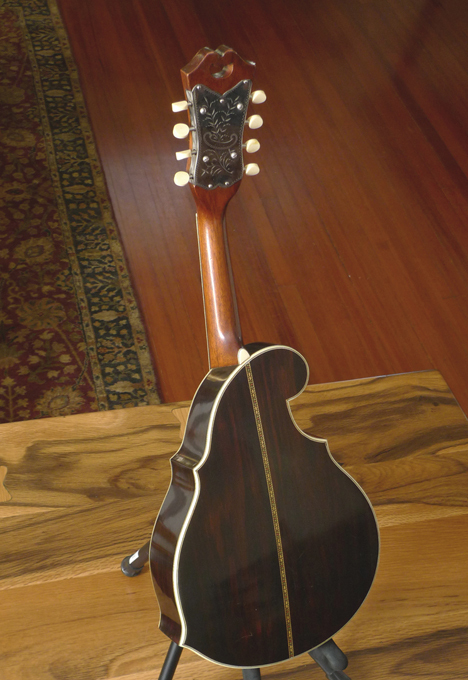 The now legendary Chicago-based Larson brothers, August and Carl, did not make instruments with a “Larson” label. 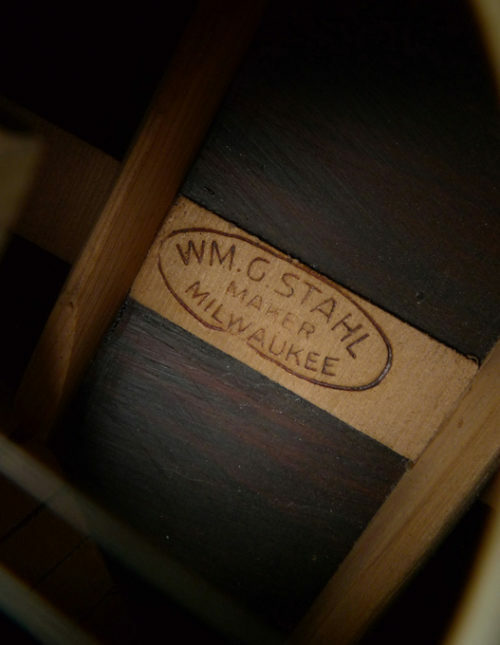 All of their instruments were branded and marketed for Stahl, Maurer, Prairie State, Euphonon, Dyer, Bruno, and a few more. 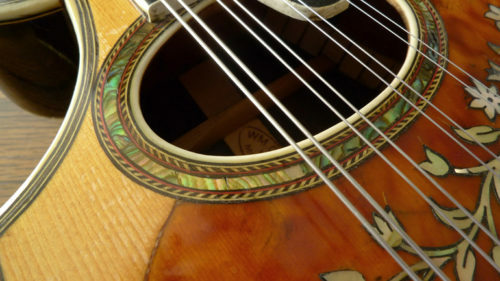 Yet every one of their instruments has their unmistakable trademarks. 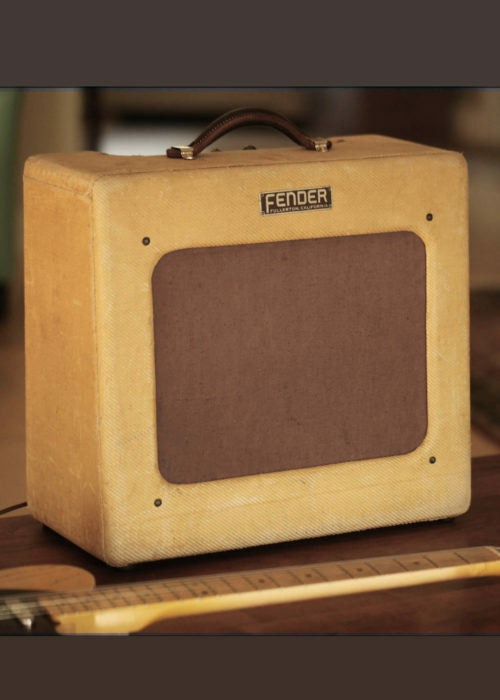 And their unmistakable tone. 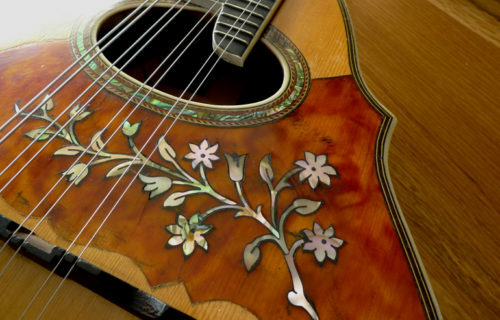 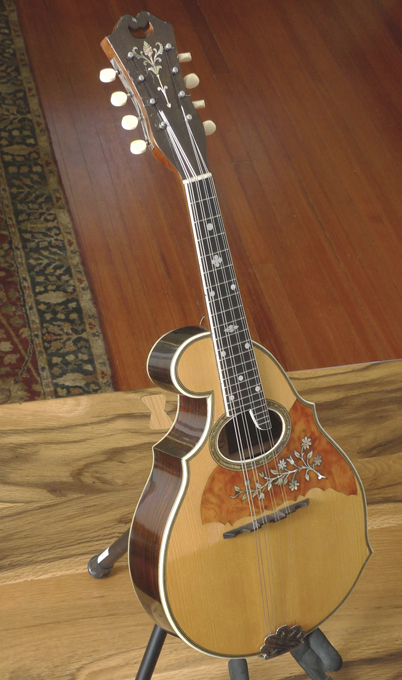 This exquisitely beautiful, 100% original Larson Mandolin was made at the very height of the Larson legacy– when they were making their finest instruments. 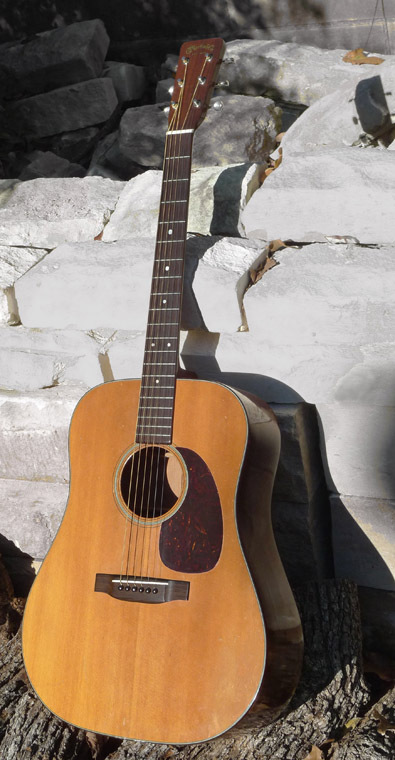 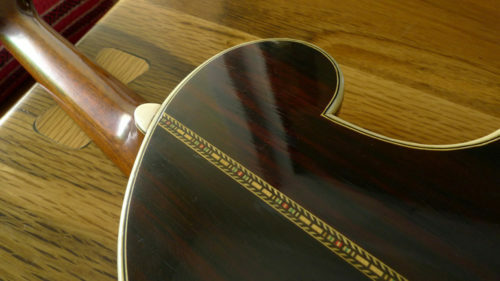 It has all of the Larson trademarks that set apart the best Larsons, including “built under tension” design, and Larson’s classic “ebony under the binding” on the neck. 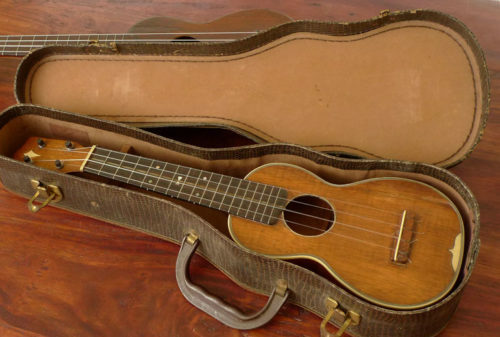 Every part of this instrument is 100% original. 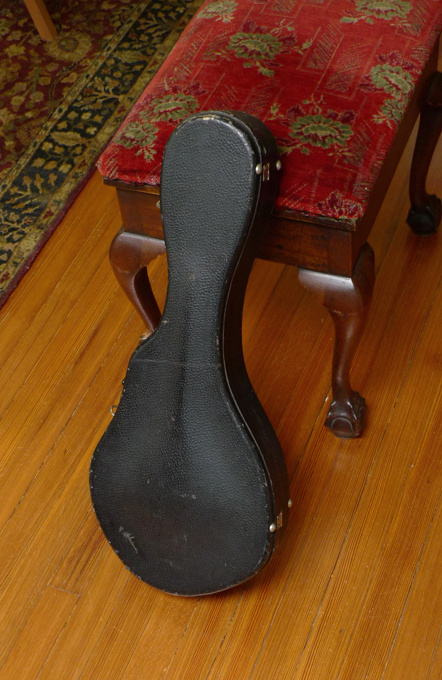 And its crack-free– save for two tiny dryness finish cracks near center of back, of about two inches each. This particular model, is one of the high end Larson models, a presentation grade instrument, with its Abalone trim, elaborate inlays on headstock, and fretboard, and exquisite Brazilian rosewood. Tone: think of the best Brazilian rosewood instruments, but add more sustain. 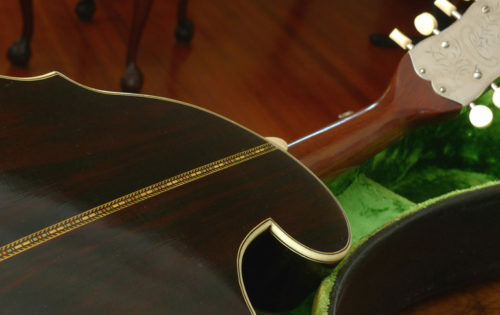 It vibrates in your hands, and the tone, because of Larson’s patented “built under tension” design, is thought of by players and collectors as being both unique and delivering probably the most sustain you’ll get from any instrument. 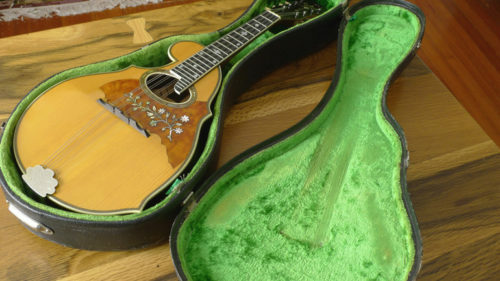 If you’ve never played a Larson brothers mandolin or guitar, be prepared to be shocked by the brilliant, shimmering tone, the sustain that goes on and on, and the harmonic overtones– that nothing but a Larson achieves.